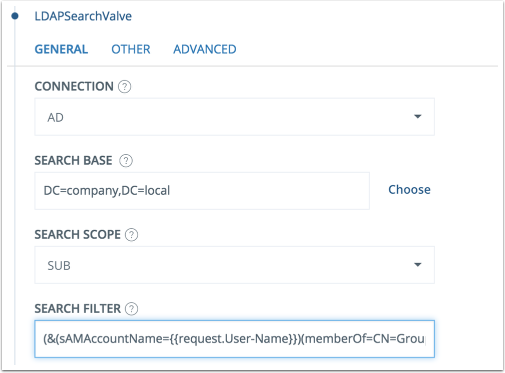 The examples below will show how the LDAP search can be configured to only allow access to those accounts that are members of one or more specific groups in LDAP. 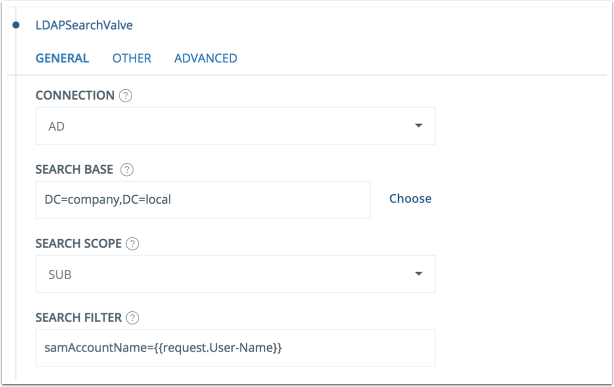 Login to the configuration portal and locate the scenario that you want to modify. Now go to "Execution Flow" and find the LDAPSearchValve. In the example above login will be accepted if user logging in, is member of either group.